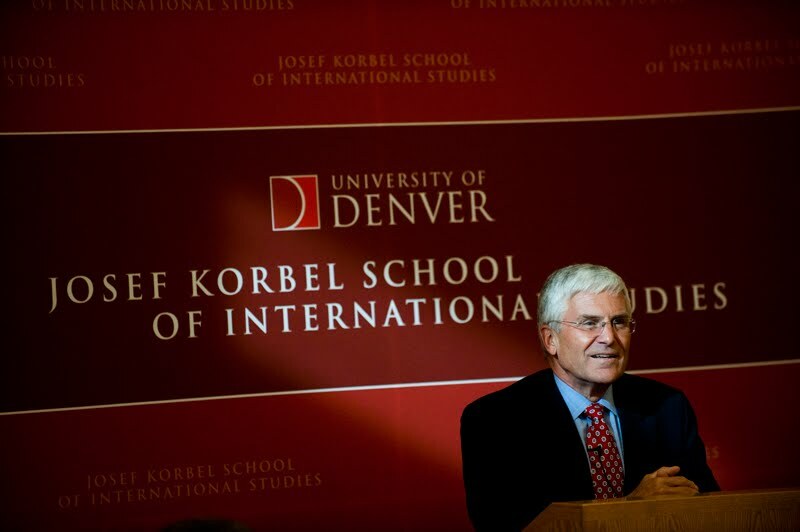 General George W. Casey, Jr talks at the Josef Korbel School of International Studies at the University of Denver on public diplomacy on October 13th, 2011 in Denver, Colorado. I am not calling the four-star general monotonous but how do you get any mundane monotonous speaker behind a podium slightly more visually interesting ? Maybe a nice shaft of light?